Mark and Ron were part of a sound editing and sound mixing team tasked with the impossible: Create a follow-up to the iconic sound design of the original Blade Runner (1982) in a way that would honor its sonic legacy without mimicking it. With both now nominated with their teams for the 2018 Academy Awards, we gave them our own Voight-Kampff test to find out if they are in fact more human than human! The original Blade Runner soundtrack is iconic. How were you able to be inspired by it without replicating it? 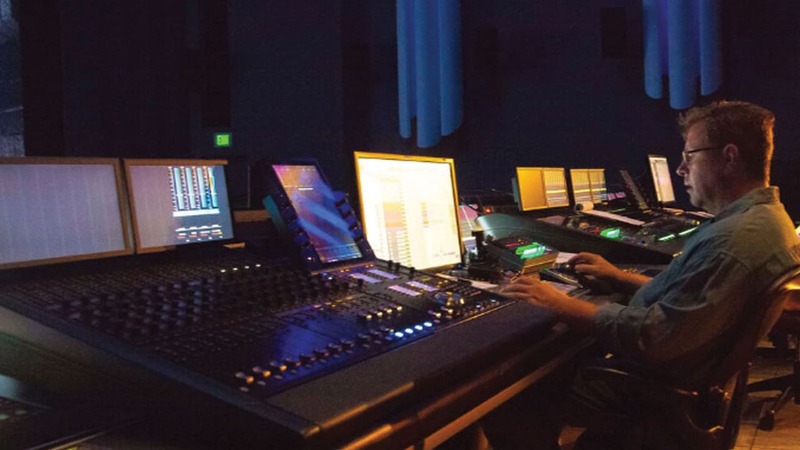 Ron Bartlett: My colleague [re-recording mixer] Doug Hemphill and I already had a strong familiarity with the original score by previously collaborating with Ridley Scott while remixing the ‘Final Cut’ of the original film in 2007. For Denis Villeneuve’s sequel, we tried to keep a strong tie to Ridley’s ideas and to Vangelis’ thematic musical elements, but also bring a brand new approach. The score was equally important for BR 2049 as well. Ben Wallfisch and Hans Zimmer were tasked to come up with the same types of sounds and moods, using the same synthesizers, but without copying Vangelis. They created a fantastic score, utilizing all sorts of amazing new sounds, and provided us with more than these stems in the surround field in a manner which the original never could. 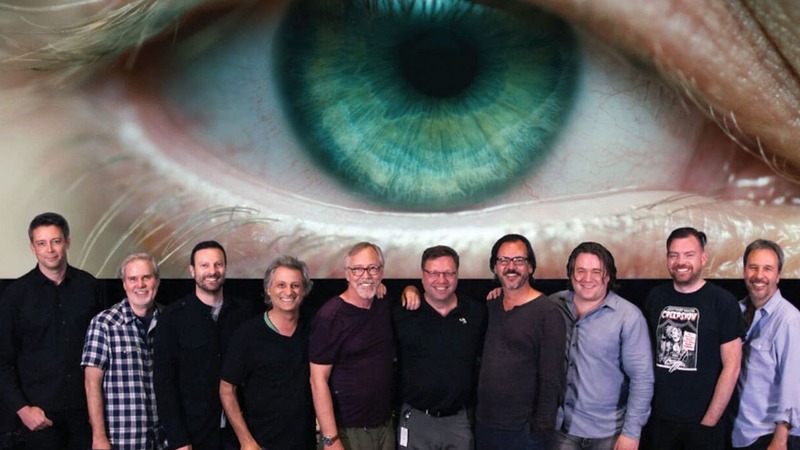 Mark Mangini: From a sound design perspective, my Oscars co-nominee Theo Green and I watched the original Blade Runner a great deal in order to deconstruct it, understand what made it so interesting and immersive, what made it tick. We felt a sense of loyalty to the first film as an architectural reference. The sequel still had to feel like it was the same universe, but we wanted to create a new, fresh 7.1 version of those sounds and textures that would underpin the atmospheres in the new movie. 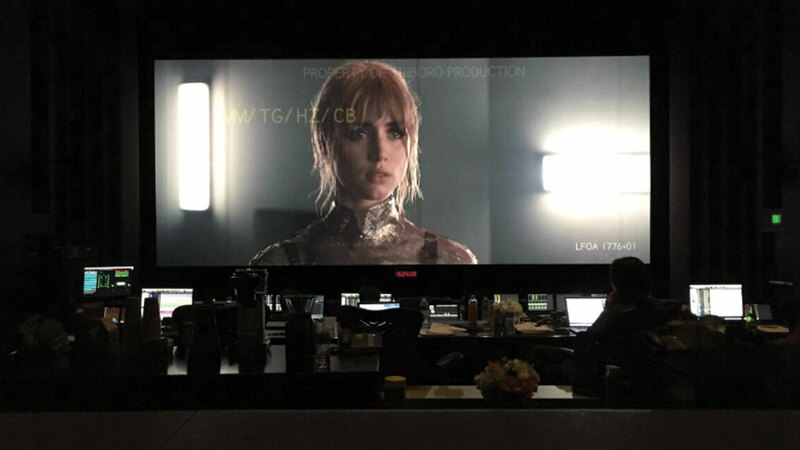 In fact, there are no sounds in 2049 that came from the original film. How did you use sound to immerse the audience in the sonic landscape of California 2049? Ron: One important goal was to convey, in sound, that sense of urban density that the original Blade Runner was known for. This film definitely had a wider layout of dialogue than usual. We had a lot of dialogue tracks, different production mics and many different characters. This sense of a chaotic crush of sound was most pronounced in the scene at Bibi’s bar, when you're outside with all the aggressive ads, machine noises, footsteps, rain. You also have all the crowds, the background dialogue creating a polyglot of mixed languages all the time. We had different food groups, if you will: production dialogue, ADR, production sound effects, futz tracks meaning filtered dialogue tracks like all the radios and communications, public address announcements, etc., and then all the group ADR, which consists of different crowds and languages. So, it's quite a lot of tracks. How do you control all that complexity in the final mix? Ron: It’s about what we like to call “racking focus” with sound. The goal is to guide you to what you should be paying attention to the most which propels the story. Also, on the end of each mix buss, I used the L2 Ultramaximizer plugin to really control any transients that might overload, or in case I hit something too hard. The L2 has a great way of containing all that and getting a really full mix without distorting your mix. OK, let’s go to the staples of sci fi sound – vehicles and blasters! Mark: The spinners – the flying cars – we designed those from scratch, and we did it from elements one might not expect. The sound we chose was the steady state sound of a bullroarer, an indigenous instrument made out of a slat of wood and a long cord. You spin it above your head, and you get this whirling, buzzing sound. But of course, that sound in and of itself has no movement. It doesn't fly by you. It doesn't approach you or land. It doesn't lift off, fly away, or behave in any way like what the spinner can do. We needed to process those sounds to arrive at a full kit of sounds for every maneuver the spinner would or could make in the film. For that we used the Doppler plugin, especially to create the pass-by effect. You want to induce that Doppler shift and damping effect, as well as the approach and disappear. Another handy plugin was the MondoMod. I used that a lot just to induce movement into sounds that are typically very steady-state. A general rule in sound design is that stasis is death. You always want movement in sound. 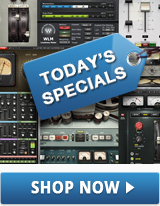 We're always trying to induce that with plugins so that the ear doesn’t tire or get bored. And how did you create the sound of [Ryan Gosling’s character] Officer K’s blaster? Mark: It’s actually very simple. You know, creating weapons is a big challenge for sound designers because we often feel that they need to be made from a lot of components. But this one is made of just two sounds. The primary sound is a field recording of a Barrett .50 caliber sniper rifle – nothing unusual about it other than the fact that it’s one of the biggest rounds that you can put in a handheld weapon. So there was quite a boom in the original recording of that. Next, I took that into the studio and used the Renaissance Compressor, which is a favorite tool of mine for large dynamic things; I like the way it stomps on a transient but then blooms the decay to give you a much longer ring out. So I stomped on it with the RComp and then combined that with a Roland 808 kick drum – really a TR-909. But the blaster is simply that – it's just this Barrett .50 cal, compressed with the RComp, and combined with a Roland kick drum sound. Download Mark’s sound samples – see if you can mix them to create your own blaster sound! Much of the film is booming and loud, with a lot of bass and rumble. How did you balance the low end in the mix? Mark: On the sound effects side, you want that rumble, but you don’t want to overdo it. In my edit/mix template in Pro Tools, every single channel has a discrete LFE [low-frequency effect] send that feeds an aux return with a variety of plugins including LoAir as an LFE output. I really believe in controlling LFE as a separate element. I also high-pass the LFE aux to reduce the super-deep stuff from gobbling up headroom. I set the low range at around 30 cycles, and I set the top end at a Dolby standard of 120 cycles with a steep shelf. That way we’re able to have a great deal of control over the low end. You need to save room for yourself for the moments where you really need it the most. You just don't want to be working that subwoofer the entire movie; it would just lose its impact. What stands out in the sound design for this film is how musical the sound palette is, even for elements of the sonic landscape that aren’t strictly speaking music. Mark: What Theo [Green] and I discovered about the sound in the first film was that the ambient sound felt a lot like musical composition. Vangelis created sound textures that didn't have melody or rhythm, but created an atmosphere of mood, and we took that as our first mission to go about creating similar kinds of pads and textures that would underpin the atmospheres of just about every scene in the new movie. 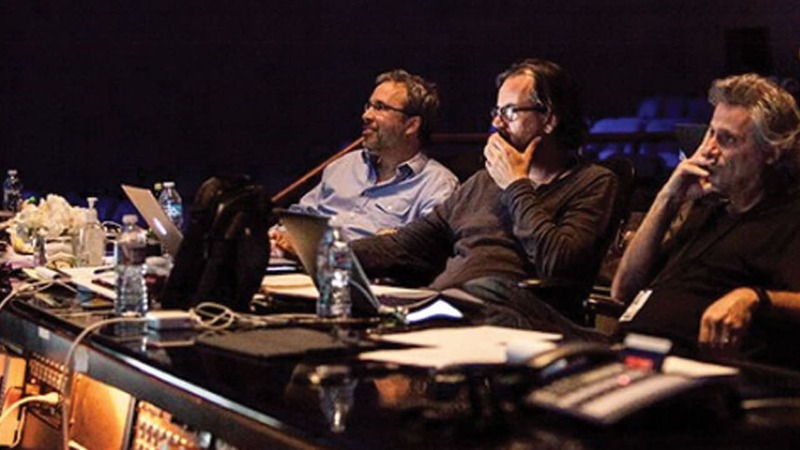 We and [director] Denis Villeneuve had this intention to blur the lines between sound design and music. Denis said to us, “I want you to compose with sound.” The idea was that we would blur those distinctions and create musical textures that would obviate the need for music in certain scenes. So we created musical atmospheres with the sounds of chimes, synth pads, electric guitar tones, bells, brass textures and things like that, such that the composer didn't have to write a music cue for those scenes. What advice would you give aspiring sound designers and mixers as far as creating unique sonic landscapes and taking audiences to another world? Ron: I’d say don’t be afraid to be bold and try things. It could be something that has absolutely nothing to do with what you’re seeing. Don't let the visual take you away from trying something just because you’re worried it would never fit. We’ve all recorded some weird sound and stretched it and flipped it upside down and said, “Wow, that's really cool! That's totally different!” And then it fits. So don't be afraid to try weird stuff. The other thing is, never forget you're telling a story with a film. The choices you make should further the director’s vision. You don't want to derail it or get in the way or change the concept or attitude. You follow your director and see where he's going with it, and you run with it. Mark: It’s so important for young sound designers to get in touch with their own originality. I made the mistake early in my career of idolizing a couple of the great sound designers and I spent too much time trying to be like them instead of like myself. When you imitate something, all you become is something almost as good as that which you imitate. What I’ve discovered in 42 years and 150 films is that what has made me successful and happy in my career is following my intuitions and providing a fresh perspective to the filmmakers that I work with, rather than being kind-of-like someone else. One of the things I believe we did successfully in this film was what we call ‘expand the frame.’ We were constantly creating sound for things that the audience didn’t see. So often sound design or sound editing is a process where you make sounds for things that you see and it’s only what’s on screen. And that reduces what we do to like a color-by-numbers exercise. If it’s on the screen, you fill it in with the Crayola of that color, or that sound. We attempted, in a manner of speaking, to color way outside the lines in order to create this whole other world that was not something you were actually seeing. That's a big part of immersing an audience in a movie, and it was a big part of how we also honored the first Blade Runner when creating this new film. Looking for more on sound design? Discover sound design videos, interview and tips on the Waves blog.